The Natural Beauty Programme has been formulated to support the growth and vitality of a woman`s skin, hair and nails. 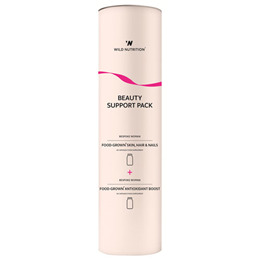 Whether you are looking to help your skin age well, tackle dry or troubled hair and fragile nails, this expertly formulated support pack works to nourish your beauty from the inside out. Food-Grown Skin Hair & Nails:Mineral enhanced yeast (providing: Sulphur, Selenium, Zinc, Molybdenum, Iodine, Boron, Manganese), Vitamin C incorporated into citrus pulp, Vegetable cellulose (capsule shell), Yellow pea (providing: Vitamin E), Ashwaganda powder (Organic), Carrot Preparation (providing: Beta carotene), Mineral enhanced Lactobacillus bulgaricus (providing: Copper, Zinc), Bilberry extract, Nettle leaf powder, Gotu Kola extract, Grapeseed extract, Pine bark extract. Food-Grown Antioxidant Boost:Vitamin C incorporated in citrus pulp. Beta-carotene incorporated in Carrot concentrate. Vitamin enhanced Yellow Pea (Pisum sativum) preparation providing Vitamin E. Mineral enhanced yeast providing; Copper, Manganese, Selenium and Zinc. Lactobacillus bulgaricus providing Magnesium. Alpha Lipoic Acid, L Glutamine, Bilberry extract, Gotu Kola extract, Grape seed extract, Pine bark extract, Milk Thistle extract, Turmeric powder. Vegetable Cellulose (capsule shell). 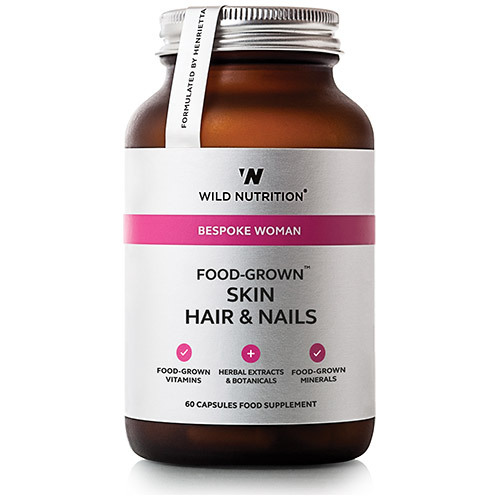 Food-Grown Skin Hair & Nails:2 capsules per day with or without food. Food-Grown Antioxidant Boost:2 capsules per day with or without food. Below are reviews of Wild Nutrition Beauty Support Pack by bodykind customers. If you have tried this product we'd love to hear what you think so please leave a review.